Best Buy Windows and Siding knows North Texas homeowners are concerned about saving money and energy, and argon gas filled windows will help reduce energy costs. The major concern is the amount of heat transferring through the window from the outside through bright sunlight and warm air. Gas-filled windows – using argon (5 1/2 times denser than regular air) – decrease the heat convection currents between the panes of glass, reducing the overall transfer of heat from the outdoors to the interior of your home. Gas-filled windows work extremely well deflecting heat, providing better insulation, saving you money by reducing energy consumption, allowing you to retain a much more comfortable home. Insulated glass is critical to any residential window system, because argon gas deflects the sun radiating through the glass panes during hot months, while holding heat in better during the winter. Last but not least, argon gas-filled windows help reduce frost and condensation on the window, which increases the longevity of your home. 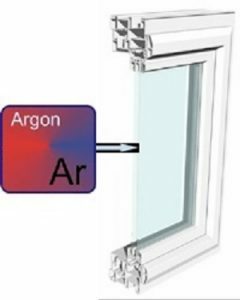 Argon gas windows, energy star rated too, offer better insulation than natural windows because the gas is heavier than air. There are also triple pane argon-filled windows that provide two layers of insulation. Call Best Buy Windows and Siding at 214-736-9971. We will be happy to provide you with a professional “no hassle” quote to help you start saving money and remain comfortable, no matter what the season.